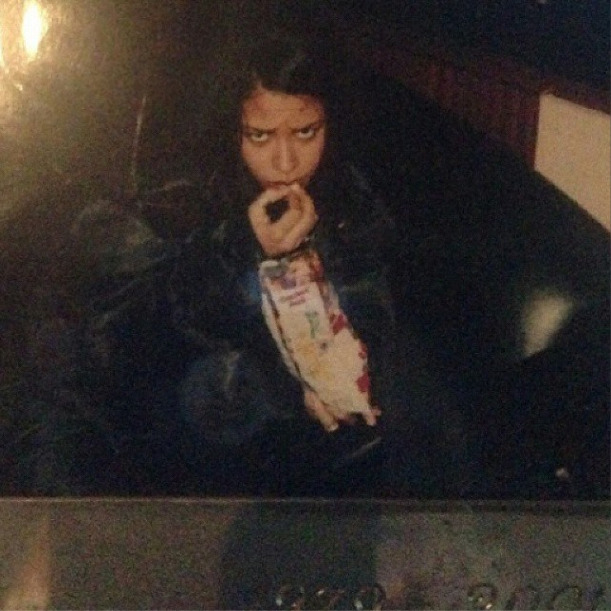 @ateam628: "I have this photo of Aaliyah framed in the office. I have others from our sessions together but for some reason this one stands out. Could be the "let me eat my Crackerjacks in peace" look she has. Lol. I think this was the night we cut "I Don't Wanna" (still @pharrell fav song of mine) or "I Miss You". Anyway, Babygirl if you're checking in with it from time to time, then you know the world still misses you dearly! #whydothegooddieyoung?"